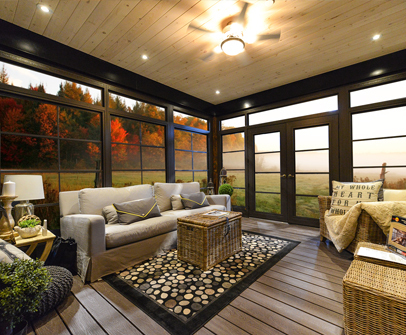 As an authorized Sunspace dealer, Windows Unlimited offers factory trained Design and Installation Specialists to guide you through creating your dream indoor/outdoor living space for home, cottage or commercial use. Custom design your Sunroom, Screen Room, Patio Cover, Decks, Railings and more! Built to extend enjoyment of the outdoors without common annoyances like wind, rain, insects and harmful UV rays. Sunspace Sunrooms and WeatherMaster Windows & Doors add beauty, comfort and style to any space while increasing its value. Have questions about the building permit process and how to do it right through the City? Contact us and we will be happy to share that information and get you started today.